PHILADELPHIA (CNS) — Help and healing is possible for Catholic families suffering with violence in the home, said psychologist Christauria Welland. A presenter at the World Meeting of Families in Philadelphia, Welland’s session “When the Wound Comes From Within: Domestic Violence in Catholic Families” was the only session on violence within the home. In an interview with Catholic News Service Sept. 24, Welland said no firm statistics exist on domestic violence in Catholic families. However, about 30 percent of women worldwide have been victims of sexual or physical violence at least once in their life, she said. Based on this percentage, she extrapolated that as many as 135 million Catholic women today are abuse victims. A professor and author, Welland began her work in the field of domestic violence 45 years ago, some time before it came to the fore as a social issue in the 1980s. She has worked extensively in Catholic communities, first with victims of domestic abuse for 25 years and then, for the past two decades, with abusive men. “When you work with the abuser, you actually have an opportunity to help that person to change and as a result for the family to become a much happier place and a holier place, if you’re working with couples, who really want to live the sacrament in their daily lives with their families,” she said. Having worked with hundreds of abusers, Welland said she has found 80 percent of men, having the proper motivation and given the proper treatment, can change their violent behavior. The issue of domestic violence is complex, she said, but insecure attachments to one or both parents growing up are a common characteristic of some abusers. “They have this enormous fear of being abandoned, this enormous fear of not being loved, which leads them to commit all kinds of desperate acts,” she said. “When we can heal the attachment to the important people in our life” through therapy “we can find a different way of relating to our partner to our children and also to God,” she said. Since the 1980s, the church has been increasingly open to discussing the issue and to seeking pastoral responses to this suffering in the family, she said. In 1992, the United States Conference of Catholic Bishops issued “When I Call for Help: A Pastoral Response to Domestic Violence Against Women.” It was re-issued in 2002. The Synod of the Bishops on the Family, set to begin in Rome Oct. 4, will also discuss domestic violence, following up on discussions from the extraordinary synod, held last fall. At the request of the Pontifical Council for the Family, Welland wrote a 100-page booklet, “How Can We Help to End Violence in Catholic Families: A Guide for Clergy, Religious and Laity,” which will be distributed to all synod participants. She will attend the synod as well. Her booklet discusses ways all Catholics can respond to and prevent domestic violence, and how to educate Catholic youth and couples for peace. She said experience has shown her both victims and abusers will come forward for help “when you make it clear that the church is there to minister” to them. 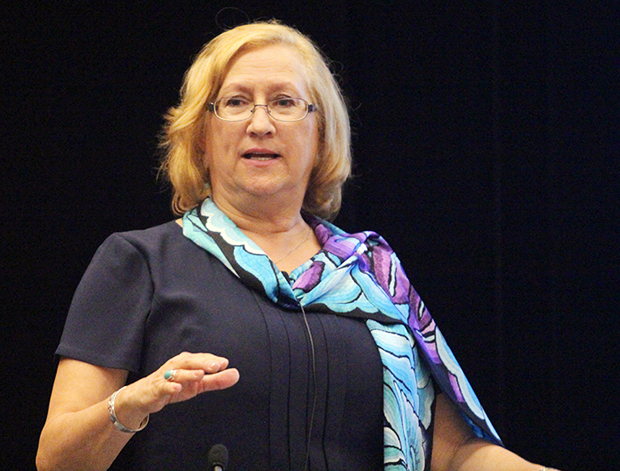 In view of prevention, the church must teach more about compassion, nonviolence, self-control, respect and equality in its marriage preparation, youth ministry and children’s catechetical programs, she said. A parish men’s group, where men can speak of the importance of being husbands and fathers in their Catholic family, could help, she said. A program she designed is currently being used in several parishes in Mexico. Welland said church leaders and ministers also could speak out more against domestic violence, even at the pulpit. “I often think that the moral authority that priests and bishops have goes to waste in this area because there’s so much that they could say that would make such a huge difference,” she said. A free download of the booklet “How Can We Help to End Violence in Catholic Families: A Guide for Clergy, Religious and Laity” is available at www.paxinfamilia.org.